App researcher Jane Manchun Wong tweeted a screenshot of a Facebook feature in the works, which shows a new tab for messaging people right within the social network’s app. Currently, the chat button – on the Facebook app and mobile website – acts as a shortcut to the Messenger app. If you don’t have Messenger on your device, the shortcut will guide you to the App Store or Play Store to install it. 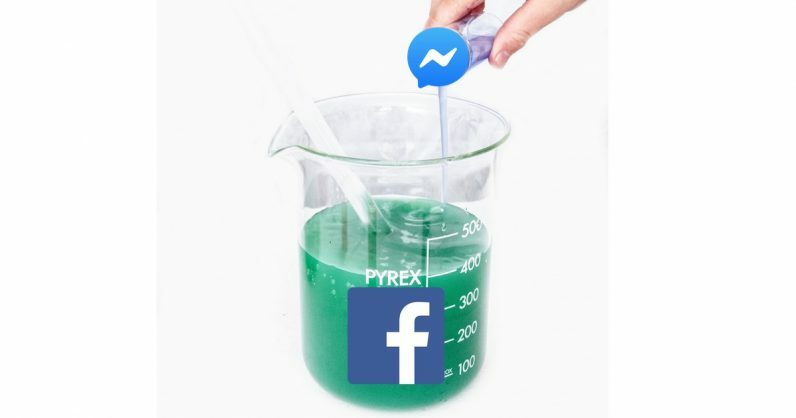 It isn’t clear if this feature will become widely available, and Facebook hasn’t yet said anything about the change – but our guess is that Facebook now sees sense in changing its approach in offering users two of its major messaging tools – Messenger and WhatsApp – as the mobile app and services ecosystem has evolved in the past half-decade. The primary purpose of the Facebook app is News Feed. Messaging was this behavior people were doing more and more. 10 billion messages are sent per day, but in order to get to it you had to wait for the app to load and go to a separate tab. We saw that the top messaging apps people were using were their own app. These apps that are fast and just focused on messaging. You’re probably messaging people 15 times per day. Having to go into an app and take a bunch of steps to get to messaging is a lot of friction. The company completed its acquisition of WhatsApp in 2014 – a month before it pushed people to download Messenger. Now, WhatsApp has grown tremendously – reportedly surpassing Facebook in terms of monthly active users last year. At the time of acquisition, Facebook saw both these platforms as separate products. But now, with the company’s aim to integrate WhatsApp, Instagram, and Messenger into a single platform, we might see changes like chat being folded back into the main app. WhatsApp has become a choice for many as their preferred messaging app, but you still have to give out your phone number to whom you want to chat with. Messenger helps you connect with people who are on Facebook, without needing their number. But with integrated messaging, the social network might not need to promote Messenger as a standalone app, and give avenues to people to access the chat function in as many places as possible. This makes more sense for supporting Facebook, which helps you find more people you may know through your friends, but may not approach directly to chat by asking for their phone number. This makes more sense for supporting Facebook, which helps you find more people you may know through your friends, but may not approach directly to chat by asking for their phone number. With careful engineering, this could also negate the need for a separate messaging app that could take up precious space on people’s phones; that’s important for Facebook to bear in mind as it aims to grow its user base in developing countries, where many people may opt for basic devices with limited storage. It will probably take years for Zuckerberg to execute his vision of one messaging platform to rule ’em all, but features like built-in chat in Facebook app gives us a peek into what’s in store for the future.